We offer 24/7 Minicab and Private Hire Service To and From London to anywhere in United Kingdom, We have very Competitive fix prices as 50% Cheaper than Black Cab and 20% Cheaper then Uber. We provide 24 hours Meet & Greet Airport transfers to and from all London Airport and Major United Kingdom Airports , We Cover Gatwick, Heathrow, Stansted, Luton, Southend and London City Airport. 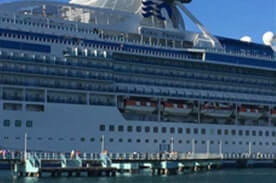 Britannia Airport Cars specialize in London Sightseeing and UK tourism. 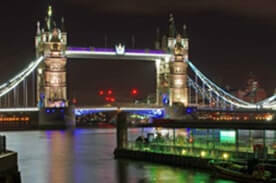 Providing high quality London tours, day trips to all incredible destinations in England,..
Britannia Airport cars offer 24/7 Minicab and Private Hire Service to and From London to anywhere in United Kingdom, we have very Competitive fix prices as 50% Cheaper than normal way of transportation and 20% Cheaper then Uber. After landing on an airport, you need a minicab to reach to your destination. You can hire a minicab right from a phone call or can also hire a London Airport minicab by visiting the website. Here, you will find a better minicab which is important for your journey. You will not only have the right minicab for your journey, but you can also enjoy your trip, we are available here to provide you minicabs for each of your journey in London. Booking process will be not more than a couple of minutes. You just have to tell us about your requirement and we will arrange a right London airport Transfer for your trip. Our London Airport minicabs will not only be helpful in airport transfers, but you can also have our services for some kinds of tours, group outings, marriages, and so on. Our drivers are always ready to serve you with a better way. Sometimes, you are in any London airport and must take off from another airport. In such conditions, you need to take a quick action and also have to make it much better for your journey, because a single mistake can break your trip. Britannia Airport cars are also available if you need a London Airport Transfer for Airport to Airport Transfer. Here, you can hire the minicab for London City to Luton Airport Transfer or can also hire for Southend to London Airport Transfer. All these transfers can be done within a single visit to our site or by calling us once. Mo matter whether you want a Minicab at day time or in midnight, our drivers are available 24x7 and can serve you at any time without having any trouble. As London is a city with lots of beautiful places. So, many people come here just to find new things and to enjoy their moments. If you want just to take a trip, you can also hire a Britannia Minicab and it will help you in exploring the things of London. You will surely like and will be happier with the trip of London with Britannia Minicabs. With Britannia Airport Cars, you can take a right Minicab for your journey, and we never mind whether it is a very short distance or a long journey, our drivers are available for any kind of London Airport Transfer. If you want to visit some places in London where you ever wanted to go and need a perfect minicab which can help you in having a trip of those places, you must to contact to us, and Britannia minicabs will make it easy for you. We provide full dedication in the work and always try to give the best to each and every customer. Our drivers are punctual and always ready to serve the best in accordance with your needs and requirements. Minicabs are available at each and every airport and seaports for you. You can hire any minicab regarding to your requirements in 24 hours in a day and 365 days in a year. Politely behavior of drivers and have well knowledge about different places. We never ask you for any hidden charges. Our services are all time affordable and we never let you be in trouble by any chance. No need to guide the driver, they know the routes very well, just tell them destination. No late charges will be applied in case of cancellation or delay of flight. Britannia Airport Cars are always available with dedicated and well knowledgeable drivers for each of your trips, whether that be London Airport , Heathrow Airport Transfer , Gatwick Airport , Southend Airport , Luton Airport , Stansted Airport , or London City Airport ,. we cover all. Britannia minicabs are available each airport of London and will provide you its services with a well manner. So, you would have a better experience of our minicabs and rental services. We would like to introduce you that Britannia Airport Cars are available not only at airports, but providing it services at seaports as well. If you want to hire a minicab for to and from Portsmouth International Port , Harwich international Port , Southampton Cruise Port ,Dover Cruise Port and Tilbury Cruise Port . you are welcome here. Our chauffeurs are also available for Southampton Cruise Port Transfers and Tilbury Cruise Port Transfers as per your requirements. Just make a call or visit on our site to confirm your booking and our driver will wait for you on the particular location wherever you want. The driver was late and extremely rude. He didn't know there was an additional pick up and he wanted more money than the quoted cost. When arriving at Heathrow he didn't help with the bags at all. My father who was the passenger is disabled. The mess up was extremely stressful for him. Driver was early. Very polite and helpful. The driver arrived 25 minutes late. We had to run through security and could have missed the flight. Unacceptable. Both drivers were efficient and courteous. The driver was early and was a nice bloke, courtious. However his driving wasn't the best. Sudden exelarion and breaking throughout the journey, taking turns faster than he should. Made me very nausious right from the beginning. Well dressed driver, neat and clean vehicle, driver on time. I'll definitely use Britannia Airport Cars Service again. We all would like to thank you so much for the outstanding service we received from your company during our UK visit. The drivers were so pleasant and always on time. They contributed a lot to making our visit most enjoyable. Thanks also for helping us with a transfer to Heathrow even though we booked rather late. We were going to take the train but then decided at the last minute to use your taxi instead. So glad we did! I will certainly recommend you to everyone travelling to the UK. Have a lovely day.